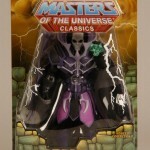 As the ruler of Zalesia, Nikolas Powers was entrusted by King Grayskull to guard the city’s great magical objects – the Havoc Staff and the mystical Ram Stone. 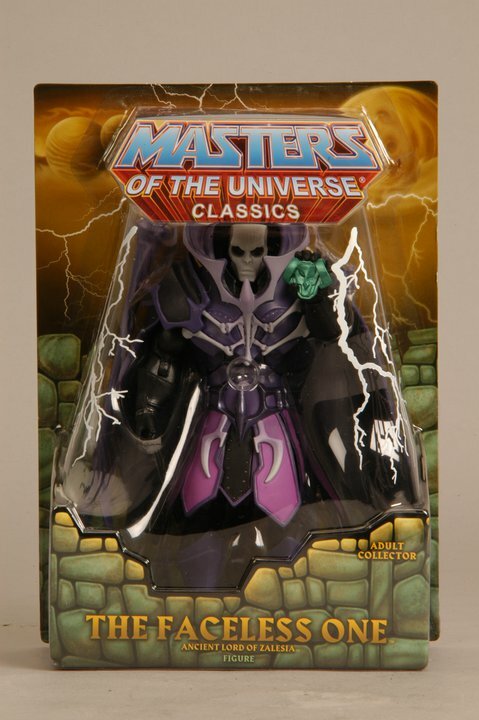 Powers was a core member of Grayskull’s Council of Elders, great mages from across Eternia who had the wisdom to tap into the planet’s hidden magical secrets. But by marrying and having a daughter, he broke the Elder’s treaty with King Hssss to not produce any heirs. Powers was stripped of his humanity, condemned to never leave Zalesia and forced to watch his beloved city destroyed by Serpos. 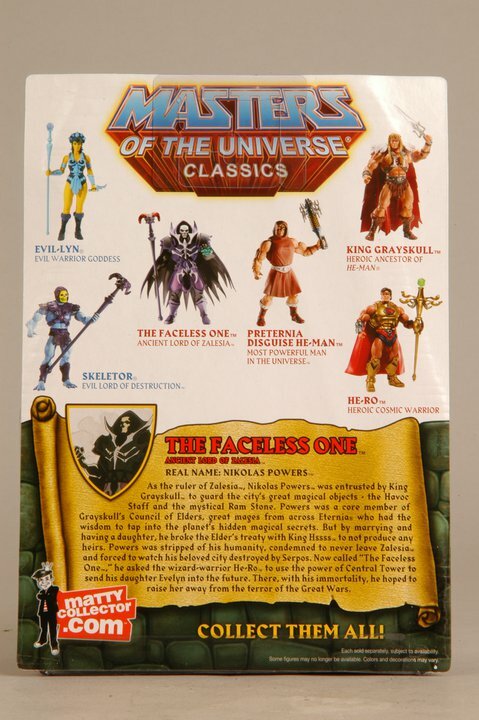 Now called “The Faceless One”, he asked the wizard-warrior He-Ro to use the power of Central Tower to send his daughter Evelyn into the future. There, with his immortality, he hoped to raise her away from the terror of the Great Wars.